When I think of engagement rings, many images flood my mind – diamonds, excited women, everlasting love, commitment or entrapment, romantic stories of prince charming sweeping you off your feet, something that seems not quite real, and even other-worldly. 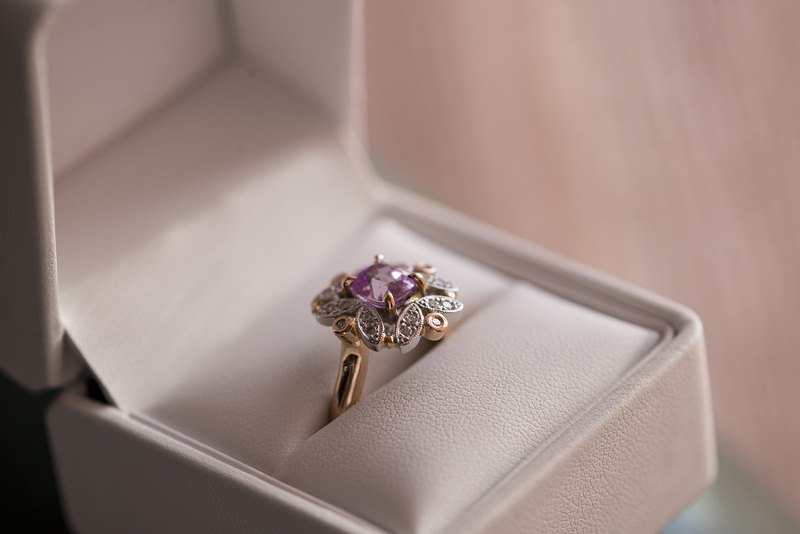 From my experience, and witnessing many women going through the engagement process, I see this as an ‘engagement ring consciousness’ as it seems like something that comes from outside ourselves, like something fed to most girls from a very young age. Many girls and then women paint a picture about having a diamond ring on their finger, as this seems to be a societal expectation of what occurs when someone becomes engaged and in some cases, is what makes a woman feel complete. With my engagement occurring over a year ago, I hadn’t initially considered wearing an engagement ring because there was something about a simple wedding band, the elegance of which felt complete and seemed to be what I was about, what suited me. My partner and I decided early on in our engagement we would wear our wedding bands straight away because that’s what felt natural to us. So a few days after we were engaged we purchased our wedding bands and have worn them since. A couple of months out from the wedding I started having thoughts that I may be missing out by not having an engagement ring. I discussed this with my fiancé and we decided this was something we could look at in the future. But that decision didn’t stop the thoughts coming in. What confused me at the time was, what I felt to be true for me was contrary to the thoughts I was having. I did recognise that they were thoughts coming from outside of me, like I was being fed from a well thought out advertising campaign of societal expectations and desires, because they were all ideas that weren’t really from within me, where I was at in my life and what was important to my fiancé and I at that point in time. 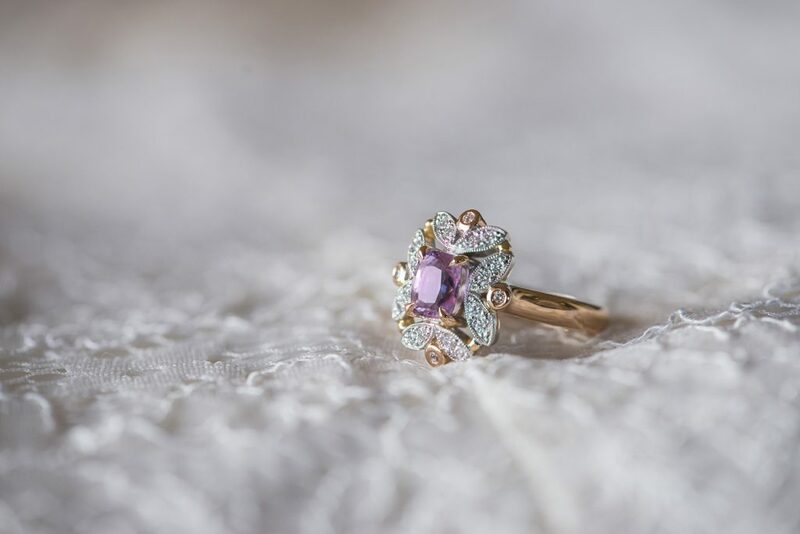 Ironically, on my wedding day I wore an exquisitely beautiful pink sapphire and diamond ring borrowed from a friend who owns a top end jewellery store. Its beauty was out of this world! My fiancé picked the ring from a couple of choices his friend suggested after she saw a photo of my wedding dress. I wore this stunning ring as though it were my engagement ring, not giving it another thought as I knew it would be returned soon thereafter. However, my now husband had other ideas. When he returned the ring, he had decided it was and should be part of our ‘wedding package,’ so he went about purchasing the ring from his friend. When he discussed this impulse he felt with me, I found many reasons why I shouldn’t have the ring. But he honoured the impulse he felt, recognising there was something more on offer here for us than just a glamorous engagement ring. He surprised me with the ring of the eve of our departure to Vietnam where we would be attending a Universal Medicine retreat and holding a second wedding celebration. He has a beautiful way of surprising me this man, and this surprise was no exception where it touched my heart ever so deeply – it actually seemed to reawaken a place in me, untouched for what seemed like lifetimes. It is difficult to put into words how this felt but I know something old and deeply hidden had been shifted to be healed. What is interesting here is that the ring is not one that I would have considered, looked out for or necessarily chosen, as such a ring would never have been on my radar. I realise now with all my knowing that I wouldn’t have seen this ring because I wasn’t open to seeing it at that point in my life. Consequently it was a big step for me to accept and claim this ring into my life. It’s not the ring that takes me there, it’s what the ring symbolises and reflects to me in so many ways, but in particular about me opening my heart to so much more in my life – that I am and can be so much more than I am living and that there is so much more to appreciate in me and accept into my life. More than anything it reflects to me the multidimensional nature of this universe we live in because it connects me to something ancient, from the stars long ago, but also to what’s available here and now. And the flavour of that reflection brings an exquisite beauty, womanliness, power and wisdom. What it also shows me is how I capped myself by saying that the wedding band was enough, that simplicity was what I was about. Simplicity is a key for me and keeping things plain and simple allowed me to hide in that, but really I am so much more and am here to reflect so much more. So the ring consciousness was a smokescreen or a distraction to what was really there for me to see, feel and experience, which was about feeling glorious and allowing myself to stand out. My experience with the ring consciousness was to fit in with societal expectations, to have a ring because that’s what you do when you get engaged and to distract me from what was true for me. Don’t get me wrong, there’s nothing wrong with having a ring, but the experience for me was about something else. For me it was about a reflection and connection to an expanded and unlimited reality; an expanded awareness to somewhere out of this world that I know… to space and the stars. My engagement ring now sits next to my wedding band on my finger, where the wedding band is a beautiful expression and symbol of my husband’s and my commitment to love, each other, and what we are here to bring. And this is the true package or combination of rings for me and I thank my husband for honouring an impulse he felt for us on our wedding day, which allowed a healing for me and us. This has laid down another new footing for us to move forward on in our lives and stands as a reminder that we are all much grander than we know. The two rings together are symbolic of the healing and reflection that has occurred for both of us, and especially for me in trusting that God or the divine or the universe is right there to support any true movement which I feel and choose to honour. In that it allows me to focus and surrender to a place deep within that is incredibly still, connected to the universe and feels like my true way to live. Published with permission from my husband. Behind everything, every form in this world there is a quality of energy that precedes it as such communicates a vibration that represents the divine or all this is not of this divine. We are indeed so much more in our multidimensional magnificence and beautiful to feel the claiming of this through the symbology of your wedding and engagement rings. Indeed there is much to be appreciated in claiming the love that we are through the symbology of things that reflect our inner beauty and grace. This blog is a beautiful example of how the next moment of expansion is already there to be claimed only if we decide to do so.